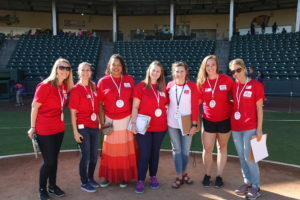 The Junior League of Greenville is a group of over 1,200 women committed to promoting voluntarism, developing the potential of women, and improving the Greenville community. Our members gain leadership skills while also improving the community for our neighbors who are in need. We have one opportunity each year for women in Greenville to join our membership. Click here to learn more! We are a group of over 1,200 women committed to promoting voluntarism, developing the potential of women, and improving our Greenville community. Watch our video to learn more about JLG and our mission. Junior League of Greenville, Inc.